William Simpson is the home of Jeep and Fiat Cape Town, which brings you the latest models in the FCA range. 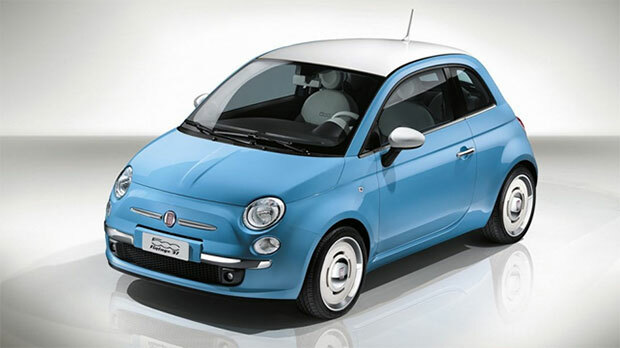 We are super excited about the newest addition to our showroom floor – the Fiat 500 Twin Air! This briefcase-sized powerhouse is moving its way into the future of modern small cars. Its focus is on being economically conscious whilst still maintaining modern characteristics and elements. The Twin Air utilises the MultiAir Electro-hydraulic Valve Propulsion System in the engine that brings a massive increase in efficiency by as much as 10%. Making the Fiat 500 Twin Air’s diminutive sized engine, the cleanest petrol engine of any mainstream vehicle manufacturer in the world…according to Fifth Gear and our online sources*. It is able to perform on similar levels to the 1.4 with only two cylinders, however with up to 30% improvement on the overall economy consciousness and simultaneously is able to keep the maintenance low. This 30% improvement is seen in the low fuel consumption and the overall CO2 output, making this car a perfect image of where economy consciousness cars should be heading. When driven, it is incredible to see and feel how well it drives and often it leaves people wondering how a twin cylinder car can be packed with so much punch and energy! What can attribute to this is its weight loss of 13kg less than the 1.4 and 7kg lighter than the 1.2 Fiat. Unbelievable to think of when you are looking at the models all together. Not only is this little car pushing the boundaries with radical technical solutions but it manages to maintain its Fiat 500 twin cylinder heritage at the same time. 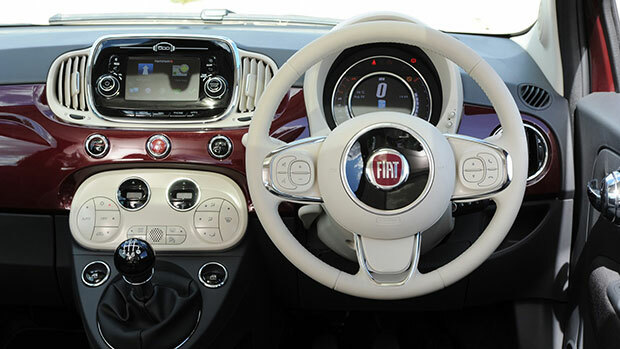 It’s exterior and interior speak for themselves, as it is chic, sophisticated and keeps in line with the Fiat 500 brand perfectly. In doing so, the Fiat 500 Twin Air is a deeply impressive, packed with technology and character, modern car now available at William Simpson Newlands, make sure to contact us to book your spot for an exclusive test driving experience! *We love giving you great content but also want to credit Fifth Gear and our online sources for inspiring our content.